Year-Round Sunrooms achieve full architectural integration with your home for a look of singular distinction. 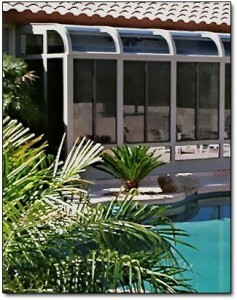 Choose from the HORIZON or SUNSCAPE Four Season Sunrooms from Booth Built Patio Products. Roof styles offering pitched roofs with a higher ceiling and a large room feeling. With our HORIZON and SUNSCAPE Patio Rooms choose your design from floor to ceiling insulated glass or a combination of insulated glass with solid insulated knee wall panels.